The sport is played on a standard sized basketball court, with each team having 4 players on the pitch at any one time. A match consists of two twenty minute periods with rolling substitutions happening throughout. In order to create more space and a free flowing game there are two main rules that have been created. The first of these is the 2 on 1 rule, In simple terms the 2 on 1 rule means that no two players from the same team can be within 3 metres of the ball at any time on the pitch. The only player who is exempt from this rule is the goalkeeper, providing he remains in the box. The second is the three in a box rule whereby the defending team may only have 2 players in the goal area at a time. In the event of a violation of the rules a referee often awards a free kick, this can often be where the game is won and lost due to the tactical nature of the free kick set up. The game is played with an oversized football which is much heavier than conventional football in order to stop the ball from leaving the ground. 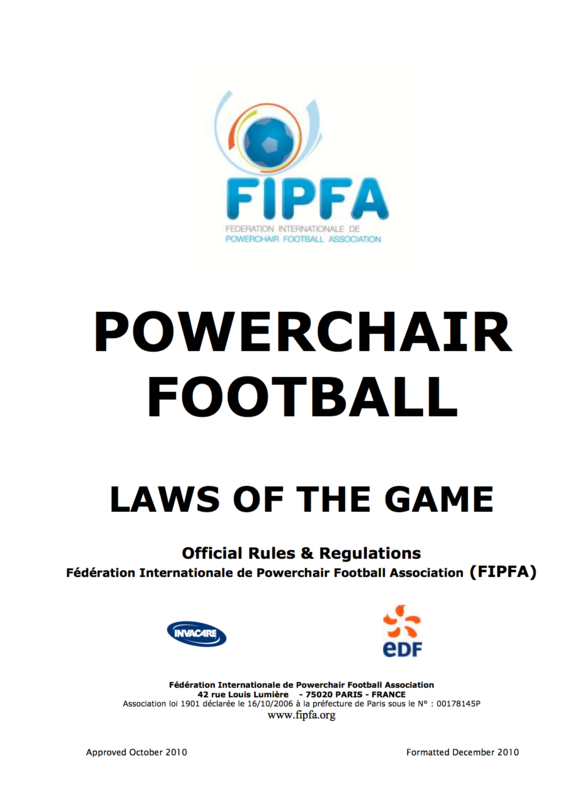 Powerchair football was developed in France and really came to light at the 2004 National disability sport Alliance. Since then it has taken off throughout Europe and the rest of the world. Internationally the sport is governed by the federation of international Powerchair football association (FIPFA) in Europe by the European Powerchair Football Association (EPFA) and in the UK by the Wheelchair Football Association (The WFA). Powerchair offers its participants the opportunity to play in regional county based leagues moving through to National leagues, Champions league and a World cup with many more festivals and opportunities throughout to compete in. The sport has been specifically designed for players with severe physical disabilities commonly including muscular dystrophy and cerebral palsy. This being said, the sport has developed two classification categories to ensure that it is able to meet Paralympic standards, set to appear in the 2024 Paralympic games. Currently within Powerchair there are 2 levels of classification for players. P1 players will have major mobility and movement issues. P2 players will be less disabled, but still have impaired movement. Powerchair Football is the only dynamic; fast paced team sport for the severely disabled. Initially the sport was played in adapted ‘day chairs’ such as the storm and TDX powered wheelchairs which were specifically adapted to enable them to meet the demands of the sport. Metal bumpers were made to attach to the front of the chairs to allow players to maneuver and hit the ball with additional side bracing at the bottom to ensure safety. As the sport develops so too does the technology, which really makes the sport possible in the form we see it today. 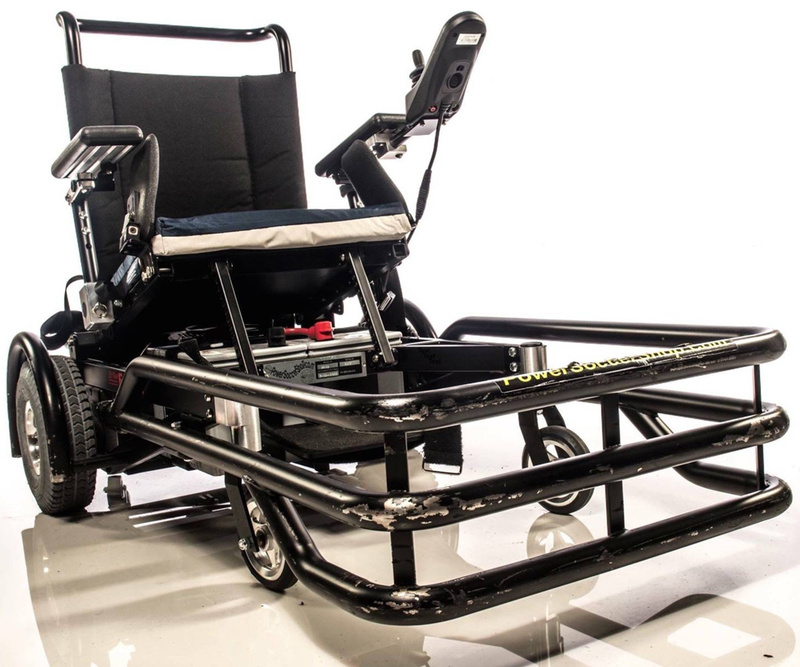 A huge contributing factor to the increase in the intensity level of the sport is the development of a specifically designed Powerchair called the strikeforce. Designed and created in America this chair is paving the future for the sport with its increased turning speed and low to the ground design. This season the chair has been sanctioned for use within the WFA National and regional leagues. The chairs cost between £7500 and £9000 depending on adaptations needed for each player. The sport continues to grow not only in the UK but throughout the World and this is brought to light by the hugely exciting 3rd Powerchair World Cup which was held in Kissimmee Florida in July 2017 with 10 countries qualifying for the finals.